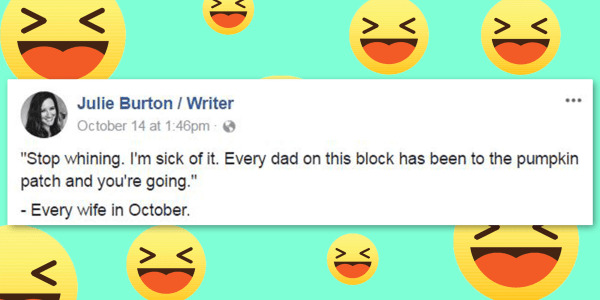 Parents are funny — especially on Facebook. And we love them for it. Because laughing helps burn off all of those calories from that open bag of Halloween candy. Because laughing helps burn off all of those calories from that open bag of Halloween candy.